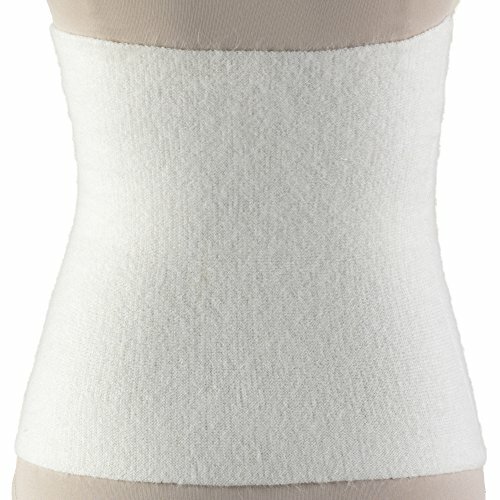 OTC brand (model 79020) angora back warmer for arthritis relief. Angora wool is the lightest of all natural fibers - the hollow structure of the fibers makes it ideal for thermal clothing. Angora warmers allow the skin to breath, absorb moisture, and maintain a steady temperature at the skin surface for all-day wearing comfort. Arthritis Relief with lightweight, natural insulation. Seven times warmer than wool. Breathable, absorbs moisture, comfortable to wear. Measure around the waist. Available Sizes: Small (27-30 Inches), Medium (31-35 Inches), Large (36-40 Inches), and X-Large (41-45 Inches).